Managing midlife is easy for some people, but others find that they are losing confidence during this tumultuous time. Relationships often falter in middle age, partially because of the uncertainty that one or both partners feel bout themselves. Career derailments, spiritual dilemmas, and the stereotypical midlife crisis can all be blamed on losing self confidence in middle age. A certain level of self doubt is normal, even healthy. Without the notion that we could be doing better, we’d never have the motivation to try new things or excel at anything. But when self-doubt becomes too much, it can be debilitating. The changes that sometimes come with midlife -- physical decline, sexual dysfunction, empty nests, and emotional difficulties can cause even the most self confident of people to doubt their ability to cope, but by focusing on their own strengths, rather than dwelling on perceived shortcomings, those in midlife can manoeuvre this stage just fine. Many people gain a bit of weight in midlife as their metabolisms slow down, and in this world of “slender is beautiful,” carrying extra weight can take its toll on self confidence. Instead of striving to see a certain number on the bathroom scale, however, middle aged people should work to keep their bodies healthy and strong. Performing weight bearing exercises can help to maintain bone density, staving of osteoporosis, and exercise is good for not only physical health, but emotional stability, as well. 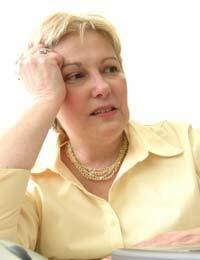 The changes that come during perimenopause and after the menopause can be troubling to some women. Fluctuating levels of oestrogen and progesterone can cause mood swings, depression, anxiety, sleep disturbances, and a variety of physical symptoms, including hot flushes. The feeling that some body functions are out of control can leave many women feeling out of sorts until they come to terms with the transitional symptoms of the menopause. Competition can be fierce in the work world, and those in midlife may feel unable to hold their own when pitted against younger employees who may be more current in their training. Taking steps to stay abreast of technological and other developments that are utilised in one’s field can help those in middle age to feel confident in their abilities at work. Age and experience are valuable assets, and these things should not be under appreciated by those who possess them. It can be all too easy to focus on one’s weaknesses, rather than taking pride in the accomplishments that have brought those in midlife to where they are now. Raising children, nurturing romantic relationships, caring for aging parents, finding success at work, and maintaining close friendships are all things to be proud of, yet many in midlife choose to downplay their contributions, instead comparing themselves in a negative light to peers. This type of behaviour is detrimental to not only current self confidence, but can also sabotage future success and happiness. While bragging may be an unattractive quality, there is nothing wrong with being aware of one’s strengths and utilising them to benefit the overall quality of life. I am sorry to hear this. Anxiety can be debilitating and can have a massive impact on your life. However, there is helps and anxiety can be controlled and cured given the right treatment such as CBT which aims to help you overcome your fears. In the first instance you could speak to someone at Anxiety UK, which has a helpline via the link here. You should also visit your GP, if you feel the condition is worsening, or feel like you may need some medication to help.